Space is closer than you think. Many common everyday services such as weather forecasting, remote sensing, GPS systems and satellite television rely on space infrastructure. What will the future bring? 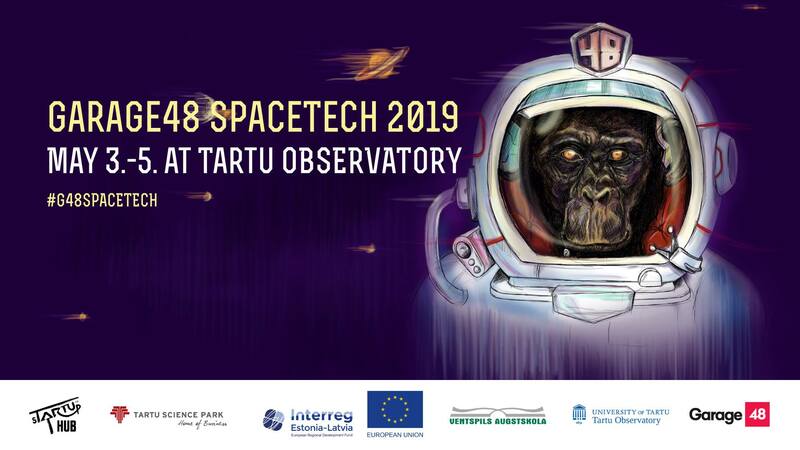 Garage48 SpaceTech 2019 invites engineers, developers, marketers, designers, data scientists, and field practitioners to explore the possibilities of space technology and create a working solution in just 48 hours. No previous experience needed - take it as a chance to learn about the magical world of space technology. It’s your chance to learn about spacetech, make our everyday lives better and create technological solutions that our future relies on. And this time, the sky is not a limit. You can build some serious hardware, create a data-based solution or a space education project. There will be separate tracks for hardware and software projects and at the end of the weekend, two winners will be selected. We’ll help you to form a team and give you tools, equipment and materials to make your wildest space-related ideas happen. During the hackathon, you will be fed the yummiest and mentored by technical and business development mentors from the space industry. The event is financed by European Regional Development Fund, sTARTUp HUB, Heliocentric Technologies Latvia and Ventspils University College.